If you have desperately been waiting to buy one of the pairs of BeatsX wireless earbuds, then your time has finally arrived. 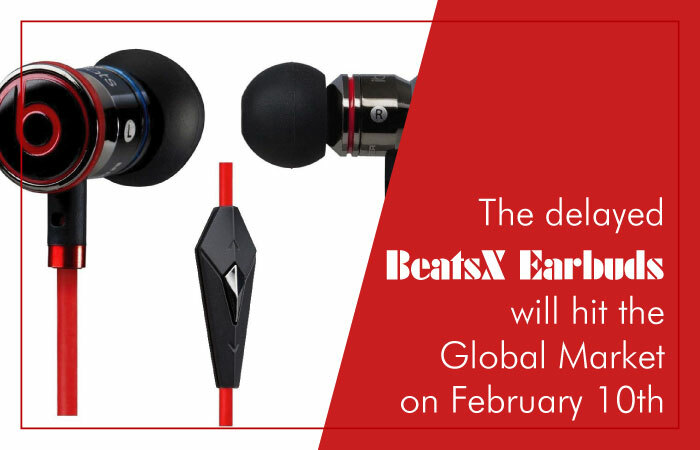 Beats, on 7th of February, officially revealed that the much awaited BeatsX earbuds will hit the global market on February 10th. But, Beats didn’t stop there as the company also made it clear by telling CNET that two more color options (grey and blue) will be available in the market shortly. Apart from Apple devices, BeatsX earbuds are absolutely compatible with Android smartphones as well. As far as the battery life is concerned, Apple says that it can extend up to 8 hours. Moreover, by plugging the earbuds for just 5 minutes, you can avail up to two hours of listening time. Great, right? What is more interesting about BeatsX is its flexibility that adjusts the earbuds quite comfortably around your neck. And, when you are not using them, they get attached to one another magnetically. It seems like Seagate is almost near to achieving the goal of producing 20TB drives by 2020 because the company is in a serious mood to launch 14TB and 16TB hard drives over the next 18 months. If the company is successful in making a 16TB hard drive, then it is surely going to be the largest magnetic disk ever. 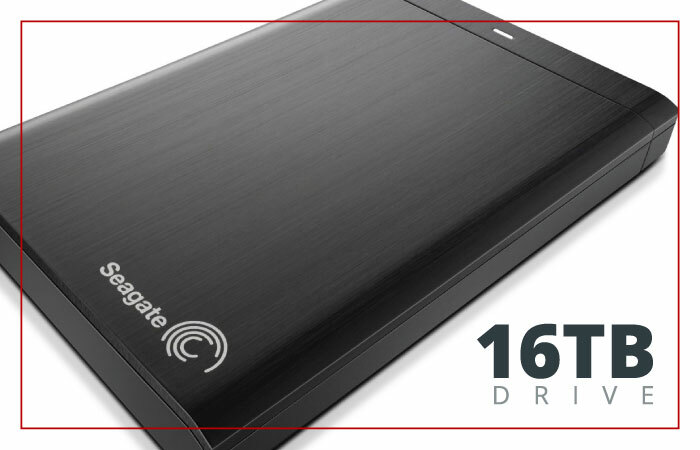 Also, this drive by Seagate will be a perfect data storage solution for enterprises and consumers who have to deal with a large amount of data on daily basis. Whatever we view, our in-built lens inside the eye adjusts the focal length accordingly. But, as we get older, the lens loses its strength and ability of focusing objects with the same accuracy. 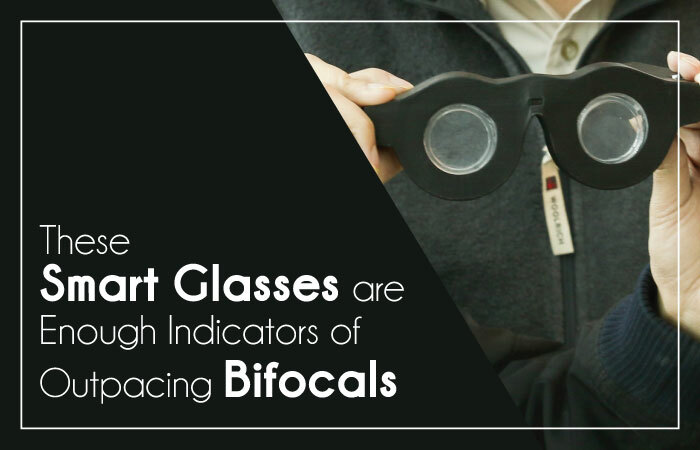 And, that brings in the need for bifocals and reading glasses to improve visibility. Same thing happened with Carlos Mastrangelo who started suffering from vision problem at his early 50s. However, Mastrangelo, a professor of electrical and computer engineering at the University of Utah, decided to solve the problem of wearing glasses on and off. That actually led him to create a pair of smart glasses. The lenses of these smart glasses are made of glycerin. It is a thick colorless liquid surrounded by a flexible membrane in the front and back. Before experiencing the glasses for the first time, a user has to add his eyeglasses prescription into an app, which will then adjust the lenses in accordance with his specifications. For now, the smart glasses visualize a pretty ordinary look, but they are expected to get slimmer yet stylish to draw considerable attention. If we talk about tiny computers with appreciable specs and functionalities, Intel’s “Next Unit of Computing” (NUC) is considered to be a sensible pick. 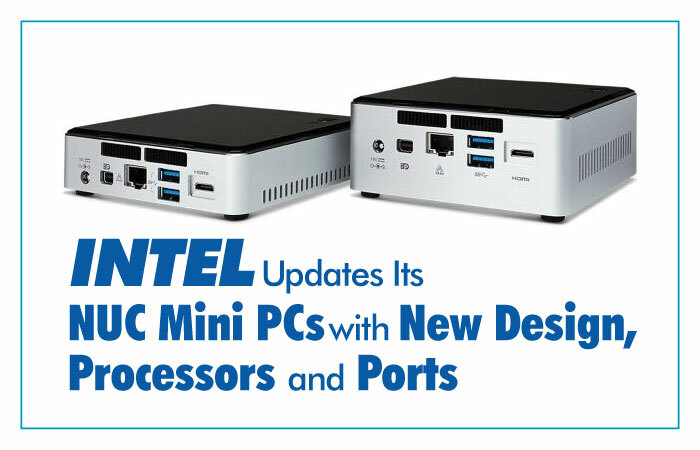 Although mini computers represent only a few segments of the desktop computing business, but every time NUC comes up with the addition of new features, they help the company reach out to its audience in an effective way. The reason is simple: NUC PCs are affordable, powerful and extremely ideal in size. And, now they are even turning out to be better, as Intel is upgrading the design, processors and ports of its tiny seventh generation desktop CPUs. The company is introducing five incredibly new NUC models: two with new core i3 processors, two with i5 and one with core i7 along with two case sizes, where one is designed to serve the larger version of the computer while other fits in with the shorter one. 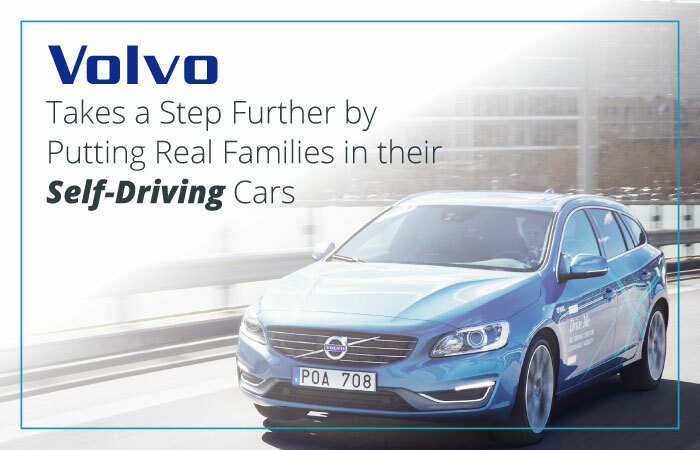 Apart from the upgraded versions’ compactness, they also serve well when it comes to connectivity. So yes, if you prefer tiny desktop PCs, the new versions of Intel’s NUC PCs should be your choice. If you have had the experience of traveling by train once in your life, you probably know that cell signals are usually pathetic. And that means calls, text messages or even going online become extremely difficult. However, the city of New York had promised to its residents that all 279 subway stations would be equipped with W-Fi by the end of 2016, and guess what, they actually did it. As of New Year’s Eve, the officials have made Wi-Fi connectivity available across all subway stations. 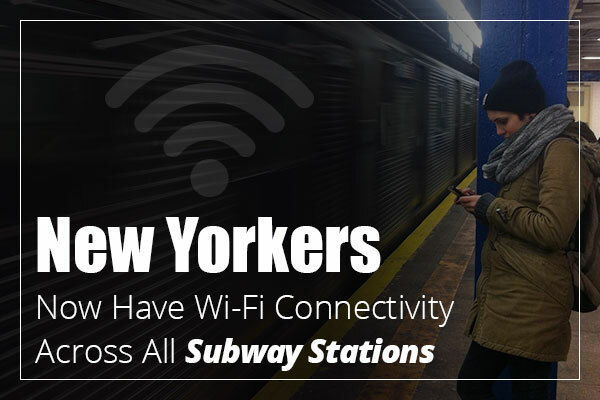 Considering the needs of a large number of people who use subway stations every morning and evening, Wi-Fi connection is something that was required badly. With such initiative, subway riders can now use internet to make online shopping, check important emails and stay active on social media. Isn’t that great? For game enthusiasts, 2017 will certainly bring a lot of hope and commitments. 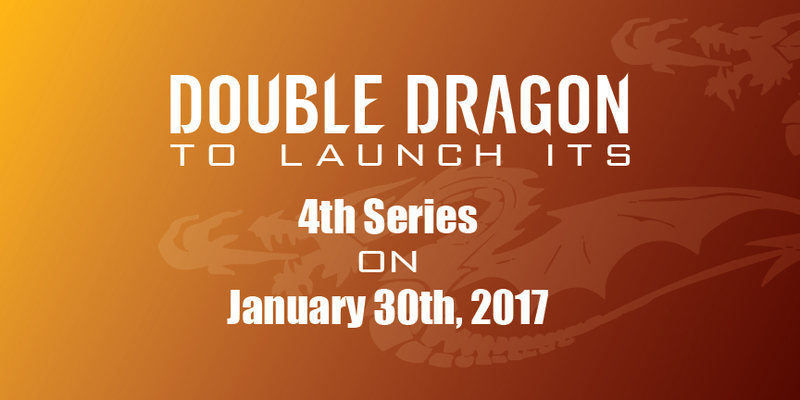 And, the release of new Double Dragon Series is a serious indication. Arc System Works has acquired all the rights to the series last year and officially made it clear that Double Dragon IV will hit the market on January 30, 2017. By the way, it’s a great time to honor the 30th anniversary of the original game. Although, the excitement might not be that much high as a different company will launch the series under its name, but some of the game original developers (such as programmers, character designers and directors) are involved in the project. It means that you should be hopeful of getting the same level of entertainment from the new series as well. However, the details are still unclear, as it looks like the company is planning to reveal more about the game in the coming weeks. So, it’s time for all of us to wait for the moment. Have you ever thought of doing something fun and exciting with your Facebook profile photo? Over the past few years, we have seen Facebook trying to be as much user-centric as it can by introducing features such as video profiles or temporary profile photos. But, now it seems like the world’s largest social network wants to take it a step further. And for this, Facebook is rolling out a new feature that is specifically designed to allow users to create their own frames for photos and videos. However, the other side of story tells that Facebook is once again trying its best to copy Snapchat. Well, it’s not what we are saying. In fact, the company has added a couple of features in the past that are clearly inspired by the app. And, the latest custom profile frames tool is more or less like the one uses by Snapchat. Anyway, let’s talk about the application of this new Facebook tool. It’s not specifically targeting any individual user, but yes this Camera Effects Platform can surely turn out to be remarkable for event planners. So, go on, log in to your Facebook account and follow the steps to make the most out of the newly added feature.